The World of Peachtree Publishers: Happy 4th of July! I love July 4th activities. Going to the parade and festivals in the morning and having a pool party in the afternoon. And who can forget about fireworks at night. Although, here in Atlanta it is shaping up to be a pretty rainy 4th. 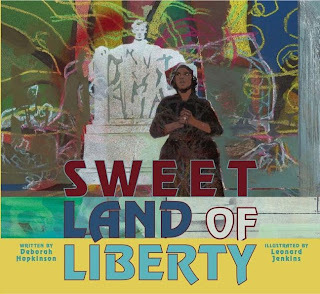 If you also get caught inside tomorrow, here are some fun, patriotic books to read! In 1739, England and Spain are on the verge of war. Slaves begin running the underground railroad south to St. Augustine, Florida where the Spanish will give them their freedom in exchange for their loyalty. Fourteen-year-old Jem is one of these former slaves who has high hopes for his new future. That is until he becomes subject to a difficult and angry guardian. As war looms on the horizon, Jem must decide for himself what he believes, who he trusts and what freedom really means. Sweet Land of Liberty reveals the little know story of civil rights advocate Oscar Chapman, who helped Marian Anderson perform on the foot of the Lincoln Memorial on Easter Sunday of 1939. When Chapman heard that Marian was not allowed to sing at Constitution Hall because of the color of her skin, he took it upon himself to find her an appropriate place to sing. With the support of high levels of the U.S. government, he was able for one evening to break the color divide. 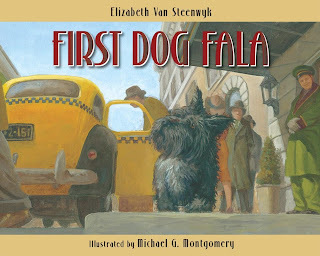 Long before there was Bo Obama, there was a Scottish terrier named Fala, President Franklin Delano Roosevelt's dog. Fala attended meetings with FDR, travelled with him across the country and the world, and remained loyal to him. This story follows the life of the president through the eyes of a loyal dog in a heart-warming adventure about over coming challenges. 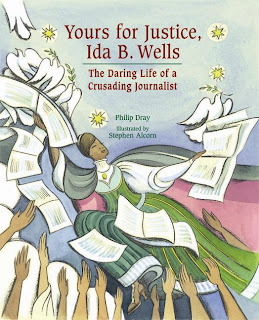 Yours for Justice, Ida B. Wells is the story of a former slave Ida B. Wells, who, after being exposed to Jim Crow laws and violent injustices, set out to lead a national movement for civil rights. She began writing articles and pamphlets about the social injustice toward African Americans and the lynch mobs that still existed in the South. Ida B. Wells helped to end lynching in America and left a legacy for equality to all Americans. 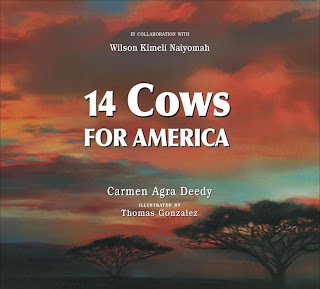 14 Cows in America is a true story about the generosity of one Maasai tribesman after the September 11th tragedy. Kimeli Naiyomah was visiting the United Nations Head Quarters in New York, where he witnessed the disastrous events of 9/11. After returning to his small remote village in western Kenya, he expressed his sorrow for the American people to the rest of his tribe. Reacting to Naiyomah’s sorrow, the village offered America the ultimate gift of a Maasai tribe, a herd of cows. 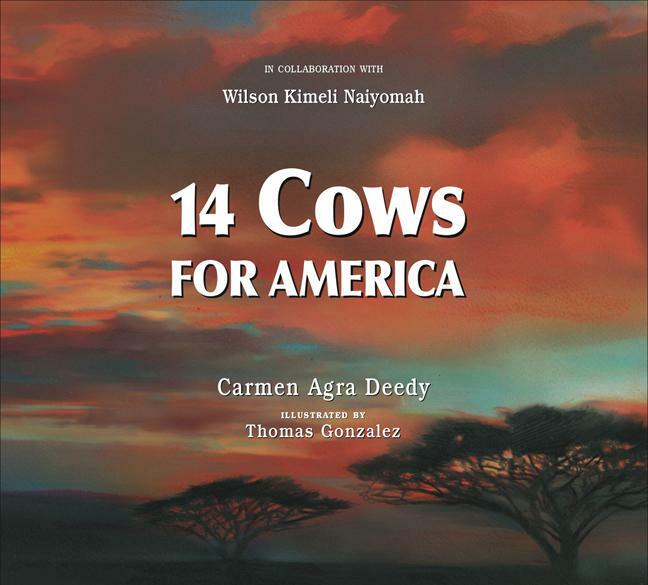 14 Cows for America is heart-warming story of generosity and hope in the face of tragedy. 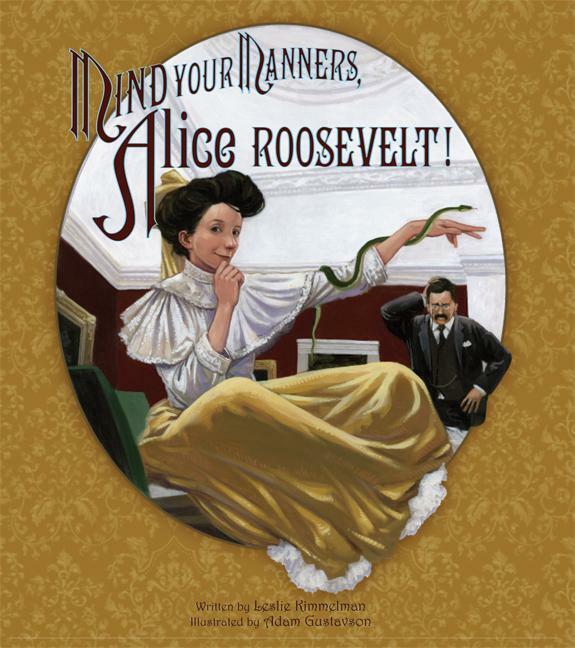 Mind Your Manners, Alice Roosevelt! tells the story of FDR's eldest child, Alice. Instead of being conventional and reserved like most women of her time, Alice choices to do what she wants, whether it’s driving a car or keeping a pet snake. When her father tells her she needs to obey his rules while she lives under his roof, she decides to spend time on top of the roof. Mind your Manners, Alice Roosevelt! Is a wonderful story about the bond between a father and daughter and a sense of individuality. What are some of your favorite 4th of July activities (both indoor and outdoor)? Make sure to check out, follow and re-pin our July 4th Pinterest board!